Facebook wants you to know that Instagram is growing. Quickly. The photo-sharing service now claims 300 million active users, according to a blog post shared Wednesday. That’s a leap from 200 million active users at the end of March, meaning Instagram has grown 50 percent in the past nine months alone. 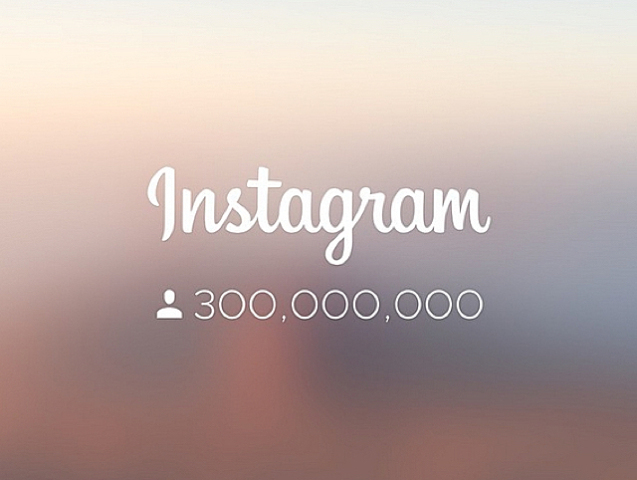 Instagram also says those users are posting 70 million photos a day. Facebook has always had a large audience — it currently boasts 1.35 billion users — but now the company has three other standalone services with at least 300 million users: Instagram, WhatsApp (600 million) and Facebook Messenger (500 million).